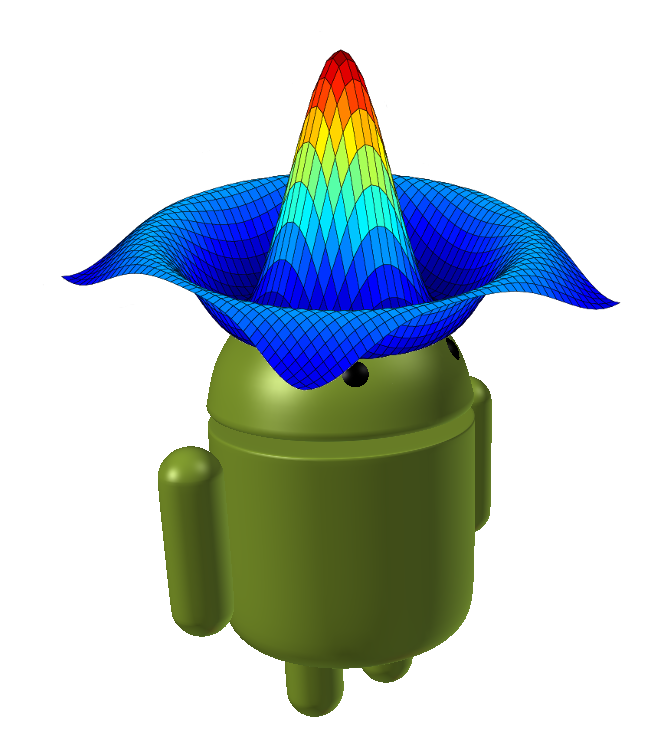 Via slashdot, I found out that Corbin Champion was revving up a Kickstarter project to improve Octave/gnuplot support on Android. Yes, the key word is improve Octave and gnuplot. It turns out that Corbin has already ported the two applications to Android, but now he wants to improve that support with a slew of new features including lots of touch-screen goodness. Android is the fastest growing market and is not slowing down. Also, Android is used increasingly in education, especially in developing counties. If we want free software to have maximal impact, especially with students, then we should get it on Android. So go to the Kickstarter and throw him a few dollars so that he can dedicate more of his time to hacking on code. On the right is the quick mascot that I put together for Corbin and the project. I made the 3D model of the Android robot myself -- feel free to reuse/remix the little green guy into your projects or project logos. He's licensed as CC-BY-SA 3.0.